Teva is committed to promoting a more diverse and inclusive society—not only within our organization but throughout the communities where we live and work—and we’re taking (literal) steps to show it! 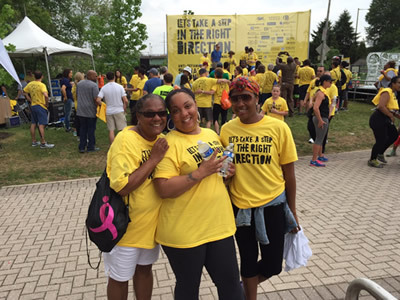 Teva was a lead sponsor of the Anti-Defamation League’s (ADL) Walk Against Hate in Philadelphia on May 17, 2015, an annual event for people of all ages and backgrounds to make strides against bigotry and hatred. Over 1500 people joined the event, which featured a Diversity Expo and live entertainment stage showcasing a wide variety of local organizations that support and celebrate diversity as part of their mission. And if those activities alone weren’t enough, the participants also enjoyed gorgeous weather for a 3K stroll along Martin Luther King Drive beside the beautiful Schuylkill River.